Millions of Americans get vaccinated every year to protect themselves from the flu and other communicable diseases. Most of these vaccinations are completely safe or cause very mild side effects. In some circumstances, however, vaccines can cause serious side effects or even death. When serious or fatal side effects occur, the national Vaccine Injury Compensation Program (VICP) allows victims to file a personal injury suit and claim damages. If you believe you have been harmed as a result of a vaccination, seek a competent attorney, like Honolulu Vaccine Injury Attorney Dennis W. Potts, to effectively build a case on your behalf. 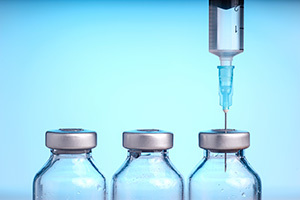 Filing a personal injury suit does not necessarily mean that fault is assumed by the vaccine manufacturer or the entity administering the vaccine, or mean that the vaccine caused injury. Over 80% of compensation is the result of a negotiated settlement wherein the Department of Health and Human Services has not concluded that the vaccine was responsible for injury. Still, individuals who feel they were injured because of a vaccination should not hesitate to speak with an attorney to explore their options. Though it is rare to receive compensation, it is not unheard of. In the past 7 years, over 1,700 cases resulted in compensation. The vast majority (1,003) of these cases were brought on because of a flu shot. The vaccination resulted in death. There is also a statute of limitations on vaccine injury cases. Claimants must file within three (3) years of the onset of symptoms. If the claimant is a family member of a victim, he or she must file within two (2) years after the death of the victim, or four (4) years after the first symptoms surface. The vaccine exacerbated an existing condition. Satisfying the strict criteria set forth by the VICP and filing a claim necessitates the help of an experienced attorney. Vaccine cases are particularly complex and require extensive documentation. Additionally, victims must first file a claim directly with the VICP before pursuing a civil lawsuit. An attorney with experience in vaccine injury cases will know how to navigate the regulations of a vaccine injury claim. The amount of compensation a victim can receive from a vaccine claim can be capped at a specified amount. For example, vaccine-related deaths are capped at $250,000, while vaccine-related injuries have no cap. The department of Health and Human Services reports an average of over $1 million awarded per vaccine injury case. If you have suffered an injury due to a vaccine, or have lost a loved one after he or she was vaccinated, contact a Honolulu personal injury attorney as soon as possible. While the statute of limitations is between 2 and 4 years for vaccine injury cases, symptoms vary widely. Some vaccinations can cause symptoms within 4 hours, while others can take up to 6 months to appear. It is imperative to know the exact date of the vaccination and when symptoms began occurring to build your case. Contact Attorney Dennis W. Potts today to explore your options for receiving compensation. Based out of Honolulu, HI, he has over 40 years of trial experience and has tremendous experience working on vaccine injury cases.